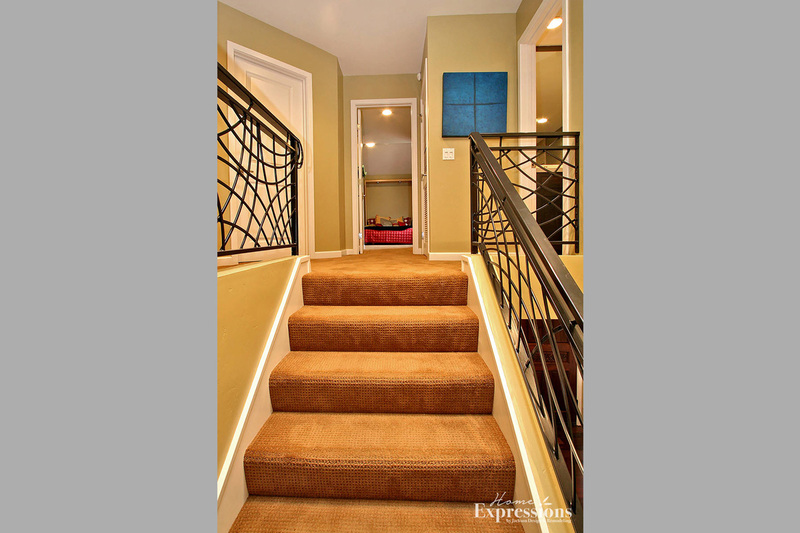 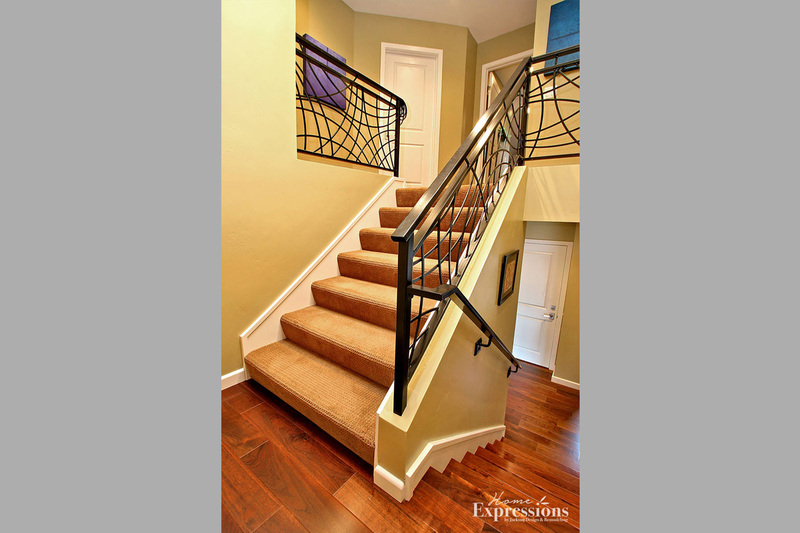 The meticulous lines of the custom wrought iron railing on these award-winning stairs create a memorable work of art. 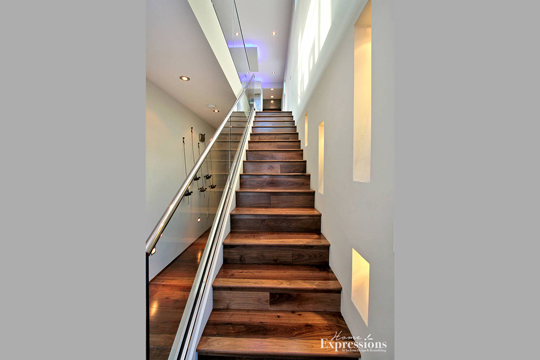 Living with artistic detail and organic beauty is essential to the homeowners. 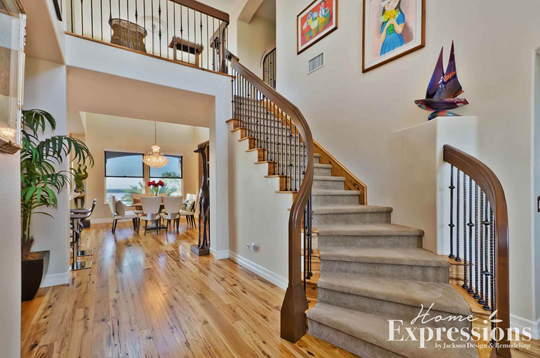 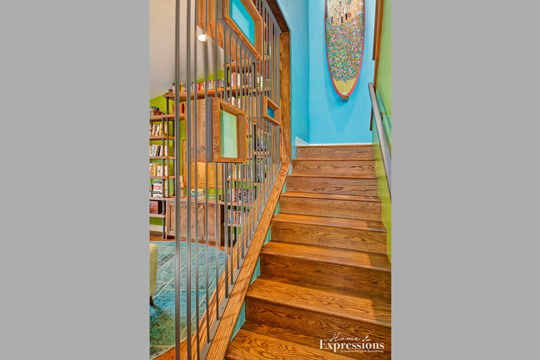 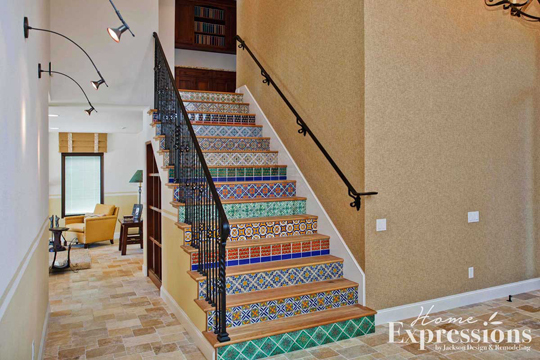 The stairway in this progressive vintage-style home is created from iron bars punctuated by reclaimed wood cubbies with painted glass backs, creating the effect of a transparent wall of art.